As summertime approaches, people will be looking to spend more time outdoors and enjoy the fresh air while sitting on a café terrace. With the UK coffee shop market growing considerably, according to Allegra Strategies Project Café 13 UK there was a strong sales growth of 6.4% on the previous year with £6.2 billion total turnover last year, P C Henderson's sliding door gear systems provide an ideal solution to make any café project stand out from the crowd. “Cafés offering a continental style with indoor and outdoor space are increasing in popularity. Our sliding and folding door hardware systems are perfect for maximising door opening widths and increasing available outdoor space whilst allowing natural light and fresh air to envelope the interior. Combining design and functionality, our systems offer a variety of design features, allowing for different finishes and the highest level of security to help achieve the right look and performance." Specifically designed for commercial applications requiring endfolding doors and ideal for the retail environment are Securefold, Pacer and Flexirol folding door systems. The range covers everything from internal folding partitions to exterior folding entrance ways. The use of folding doors is ideal for interior and, in particular, exterior situations where space is limited or in cafés where it is desirable to have the door leaves stacked behind a reveal. In the winter the systems can be closed without compromising on interior space or light and without affecting the ambience of the coffee shop interior. Securefold is the ultimate in exterior folding systems and opens up a wealth of new design possibilities. 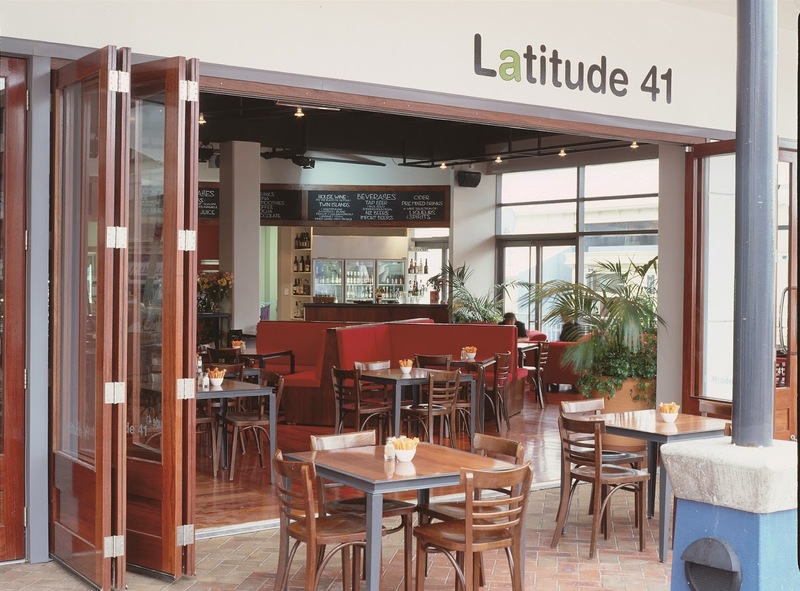 The Securefold system has been designed to maximise outdoor space which is ideal for a continental café look. Securefold Ultra has been tested to the European security standard BS EN 1627:2011, British standard PAS24 and Secured by Design as endorsed by the Association of Chief Police Officers (ACPO). The Pacer Exterior Endfold for timber and aluminium doors can handle weights up to 65kg per door leaf. The Flexirol Exterior Endfold for aluminium and timber doors systems have a capacity of up to 125kg. All systems use high performance components that are extremely durable, ensuring a long, trouble-free operating life and are suitable for any high-traffic environments that require superior performance and an attractive finish. To match the variety of materials used in modern day design, Pacer and Flexirol cater for doors for glass, timber or metal construction with Securefold specialising as a weatherproof system for timber doors. P C Henderson products are extremely versatile and can be used in a multitude of retail applications such as hotels, conference centres, shop-fronts and showrooms.